The kids are gone love this t-shirt. Why? Simple it’s a Cars 2 t-shirt with racing car Francesco Bernoulli on it. Francesco Bernoulli is famous in the whole of Italy where he grew up close to the famous Monza race track. Now Francesco is an International Formula Racing champion and that of course makes this a real neat t-shirt. And to make this t-shirt with a picture of Francesco Bernoulli on it even better. You can get this t-shirt personalized (no extra charge) so maybe print you kids name below the car or some other special message, that way this becomes a one of a kind Cars 2 product. 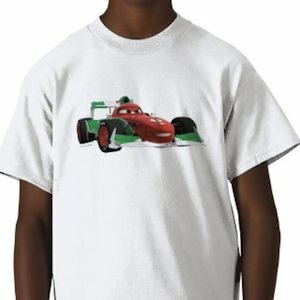 Have a look at all the option of this Cars 2 Francesco Bernoulli T-Shirt. Make this year a year to remember and this iCarly t-shirt will help you reach that goal. This iCarly glitter lips t-shirt will make people want to be your friend because a girl with a cool t-shirt like this just has to be a super friend. Made out of 100% cotton mean that this shirt is great quality, and make it a great gift for an iCarly fan. The glitter lips t-shirt comes in sizes from 7-16. If you like aqua as a color then iCarly is gone look great on you. A cute Hello Kitty shirt with plaid short sleeves and skirt look. And then there is of course a big Hello Kitty in the middle. If you are Hello Kitty crazy then you just have to see if this shirt is available in your size. Go check this Hello Kitty Plaid T-Shirt. The kids and grandkids are gone love this t-shirt of Thomas the Tank Engine. Why? Simply because it is not just a beautiful t-shirt with Thomas on it no it does something special, it will glow in the dark. As I said the kids are gone love the shirt with or without the glowing part but I am sure that they will love the glow in the dark. 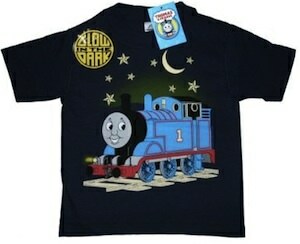 Go see if there is the right size of this Thomas The Train Glow In The Dark T-Shirt. That is what Lightning McQueen lives and breathes is speed. 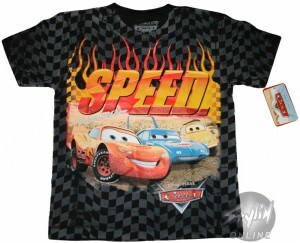 If you love the Disney Pixar animated feature film Cars then you will love this T-shirt. This officially licensed Cars T-shirt has some of the cool cast from the movie, and yes Lightning McQueen is at the front and a huge block letter “SPEED” across the chest with flames shooting out the top and a checker pattern covering the entire shirt. Be careful this shirt is hot. Find your Cars Speed Checker Juvenile T-Shirt. Your favorite building jumping, villian fighting, web making Super Hero has some style. This classy looking boys tie will complete a suit and still look great with your Marvel comicbook Super Hero the amazing Spider-Man casting his giant web in the background. 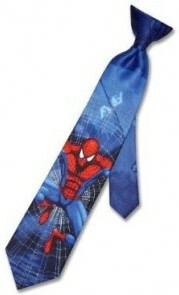 Get your Spider-Man Boys Necktie. A pink iCarly t-shirt that is what you always wanted and now you can have one. 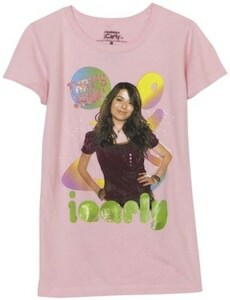 Miranda Cosgrove models as iCarly on this t-shirt and behind her is a bubble saying “That’s Jank!” and below her it says icarly in green. Go check out this iCarly That’s Jank! T-Shirt. 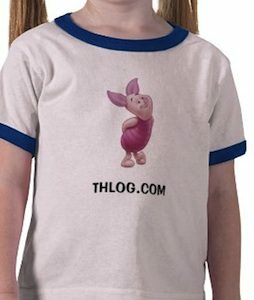 You can give your kids a personal Piglet T-shirt. You see the text THLOG.COM on the picture that is where your text can be. I am sure your grandkids, nieces or kids would love a shirt specially made for them. And Piglet would love to be on the shirt to. OK Winnie wanted to be there first but Piglet convinced him that it would be better with a pig on it. Go order you Personal Piglet T-Shirt. Here is Wall-E the little robot that was left all by himself on an empty planet just to clean up the mess the humans left behind. This T-Shirt shows Wall-E with one of his cubes of garbage. You of course don’t make a big mess of our planet and when wearing this shirt you remind people to keep our planet clean. 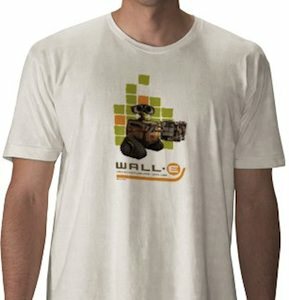 Even thought this Wall-E shirt is already great, they made it available in styles for men, women, and kids and it is available in many colors and sizes too. Go get your own Wall-E Giving Metal T-Shirt. 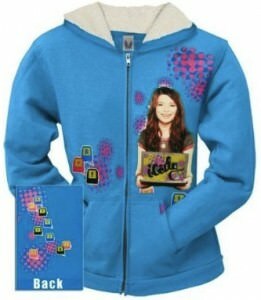 A nice blue hoodie with iCarly on the front and computer keys on the front and back. Great to wear to school it will keep you warm. The zipper makes it into good weather jacket. This is the ideal wardrobe item for any iCarly fan. Check out this iCalry Computer Key Hoodie.